A lot of immigrants are low-wage workers. They’re not skilled, a lot of them. They don’t have as much education as most Americans and so they never do get up to the point where they would ever pay enough in taxes to make back that check. Even if you just limited it to their children, the political support for importing people whose children will then be entitled to the same $15,000 a year as your children — I don’t think that would ever be politically viable. There are three reasons why McArdle’s conclusion, that UBI would complicate the immigration debate and necessitate an end to immigration, is very incorrect. First, naturalized immigrants are already the recipients of welfare transfers in the status quo; distributing this aid through a UBI will lower administrative costs, be less controlling, and help those in poverty more than existing welfare policies do. Second, the UBI’s political effects on immigration are largely unpredictable, but the reform could be sold to the public in a bipartisan fashion. It is not hard to imagine that UBI would have broad appeal if constituents knew it offered a simplified benefit structure, created clear incentives for legal immigration, and eliminated some of the perverse incentives embedded in current welfare policies. Welfare policies already exist – and naturalized immigrants already participate in these programs at relatively high rates because immigrants are more likely to be low-income than the average American citizen. This is worth repeating for emphasis: naturalized are already eligible to receive social security benefits, Supplemental Security Income, food stamps, TANF benefits, and benefits from other transfer programs. This fact alone means that UBI, as a phased-in alternative to current welfare policies, would not increase the amount of money transferred to naturalized immigrants. While it is feasible that welfare transfers to new citizens could be viewed as unpopular, the balanced approach of a UBI could help mitigate these concerns while leaving everyone better off. Policymakers who answer to constituents with negative views on immigration could effectively communicate that a UBI would reduce the total cost of welfare by reducing administrative costs. Policymakers who answer to constituents with positive views on immigration could argue aid would be given to those in need in a better way, a way that empowers new immigrants to make their own choices rather than choices dictated by the government. Depending on implementation, a UBI policy may slightly increase or decrease aid to the families of illegal immigrants. 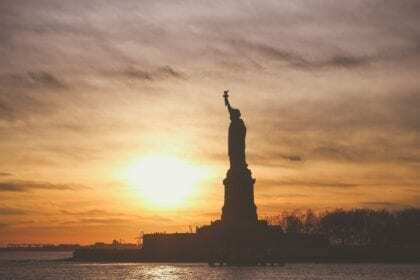 Although immigrants illegally residing in the U.S. are generally ineligible to receive welfare, illegal immigrants are permitted to apply to receive food stamps on their children’s behalf. A UBI equal to the value of the food stamps the family would have otherwise received should be the preferred policy. Various states already have their own forms of supplementary assistance for illegal immigrants in addition to food stamps: these states could bridge any perceived gaps by offering the same assistance they do now. Lawful, non-citizen residents, such as students, exchange visitors and foreign workers, are eligible for certain welfare transfers depending on their circumstances. Current laws also require waiting periods and point systems for noncitizens to become eligible for Supplemental Security Income (SSI) transfers. These rules could be maintained to alleviate concerns that noncitizens would take advantage of the UBI: as it stands now, non-citizens receive substantially less welfare transfers than their citizen counterparts. Essentially, a UBI would end up looking very similar to the SSI – the general idea would be to have fewer onerous requirements on how welfare dollars are spent. The political implications of UBI implementation are nearly impossible to predict, especially in the context of immigration. For example, even though illegal immigration has been falling over the last decade, voter concern is relatively high. Additional demographic changes will likely change the political realities surrounding immigration reform and welfare policies. It is also unlikely that a UBI would drastically change the rate of naturalization or where non-citizens choose to call home. After all, research shows that welfare spending does not have large effect on immigrants’ decisions on where to live (the biggest factor appears to be economic opportunity). It also appears that citizenship fees are a bigger factor in determining whether immigrants will pursue naturalization than welfare is. It is clear that UBI would not lead to the cataclysmic outcomes McArdle expects: we would have already seen those consequences with current welfare policies. A UBI would just improve the existing system. James Davis is an undergraduate at Columbia University studying Economics and History. Um, A LOT would happen! Very roughly, US population is 320mn, age 0-17 is 80mn, age 18-64 is 190mn and over age 65 is 50mn. The individual poverty level is around $12K per year. The average SS recipient receives about $16K per month for a total of 60mn recipients. On average, that may infer that 10mn receive in the neighborhood of $16K per year for SSDI for all age groups. I believe SSI pays out $733/month($1100 for a couple), far below the poverty level. According to Jeff Sessions, we spend $1tn per year on welfare. POGO reckons we spend a similar amount on national security. I mention this latter figure to show guns & butter expenditures of a managerial state. An actuarial analysis shows that we spend about $430bn medical goods & services, the majority of which is part of the $1tn welfare expenditures. How exactly would you (a) alleviate poverty, (b) improve real wages and real business revenues for formal & productive work while discouraging unproductive & underground work, (c) discourage tax avoidance, (d) incentivize skills training, college attendance, entrepreneurship, job-seeking, business hiring, all of the above without raising taxes, debauching the currency, spending more than the $1tn that we already do without adding to the national debt by borrowing more? How would you not short-change senior citizens, the disabled and contributors to social security or cause a great exodus (or gold rush) of migrants to the US if non-citizens were made eligible,… and how would you not incentivize world population growth from government subsidy and not further enlarge a bureaucratic, managerial state? That’s a tall order. Consider replacing the current $1tn welfare spending with a $12K per year poverty-level tapering income for citizens age 18-64 plus medical goods & services*, based on income from all sources, combined with an apt tax  on all economic transactions that negates the marginal tax rate effect. Make state adoption services and state boarding school services available to orphans and voluntarily available to destitute parents, perhaps through a mechanism similar to the DODEA. For the time being, leave SS/Medicare, alone, but raise the minimum level to $12K/year for citizens. Likewise, put aside the notion of extending these benefits to non-citizens and rather lead other countries to adopt similar practices, by example, if and when it works for us. * U6 unemployment is about 10% and that is encompassed in roughly 45 million citizens living below the $12K per year poverty threshold.